Studying in Switzerland and at Ecole hôtelière de Lausanne (EHL) in particular offers a lot of advantages. Here is a short list of things you cannot miss out. 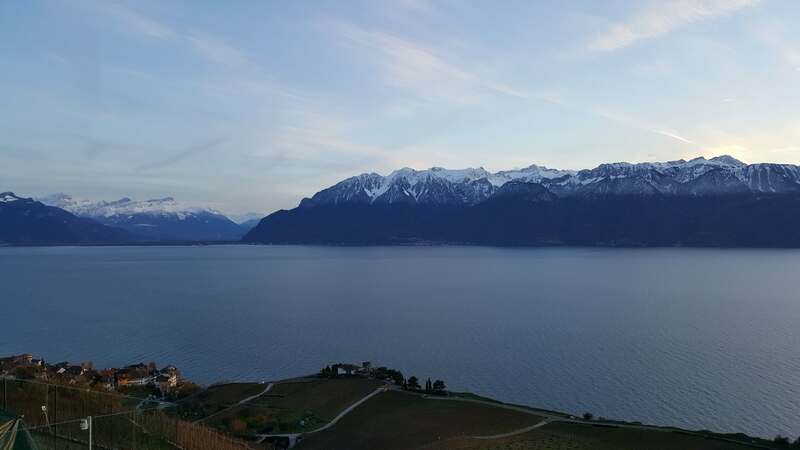 The renowned Lavaux vineyard terraces just east of Lausanne were added to the list of the UNESCO world heritage sites in 2007 and on a trip there you will immediately see why. The beautiful slopes along the Lac Léman, where vines have been cultivated for almost 1000 years, offer a stunning view on the lake and the adjacent Alps. Go enjoy a Chasselas in of the charming village cellars or private "carnotzets" (traditional bars), managed by wine growers or those passionate about wine. Psssssht, don’t tell your potential landlord, but this is one that you’ll want to get off your bucket list sooner rather than later. Throwing a bash at your place is not only a great way to ruin your new furniture but also to get to know a lot of people and quickly make new friends. If you don’t feel like messing up your place there is always the alternative of taking a group of friends to a club downtown to one of the many student parties organized by your peers (including the incredible “Fête Final” – EHL’s Graduation Party - at the end of every semester). This classic I just could not leave off the list. The creamy Swiss cheese delicacy will make your mouth water. You may have had fondue, but until you have tried it prepared by a Swiss kitchen who know what they’re doing, you haven’t truly lived. My tip: Take a few friends and drive to the fairytale-like village of Gruyères about an hour north of Lausanne. This is where the famous cheese originates and where it is prepared to perfection. You can thank me later. The “Berceau des Sens,” or BDS for short, is EHL’s own gastronomic restaurant featured in the famous Gault & Millau guide. Have an Apéro at the cool BDS Bar before heading over to the beautiful dining area where students serve a delicious selection of skillfully prepared dishes. Don’t miss out on the spectacular cheese platter and make sure to ask the student sommelier about the wines they are serving. Even if you’re no expert, it is a great display to have them tell you all they’ve learned so far in their courses. Your family or friends will love you for bringing them here – and as a student you get a substantial discount on the whole deal!